To stop your account expiring you will want to upgrade your ExpenseIn account and decide on the payment model that is right for you. Navigate to the Upgrade button on your account. 2. Choose your subscription payment plan. 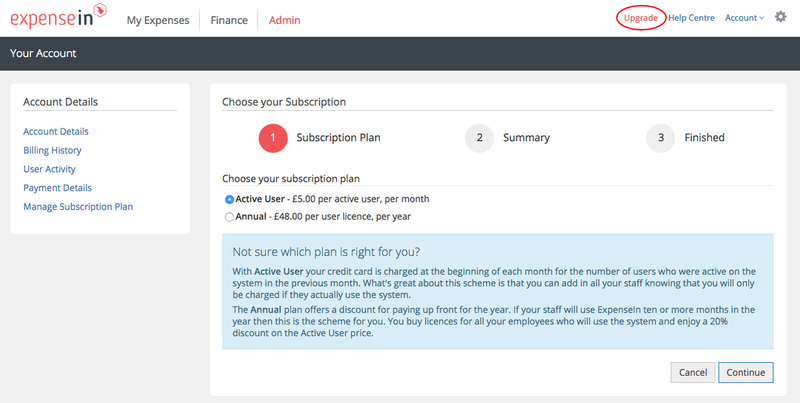 Have a look at our Subscription Plans to get full details on our pricing. 3. You should enter your billing address. Please note: It is important that this address matches the address of your payment card. 4. Tick the Terms of Service and Proceed to Payment. 5. 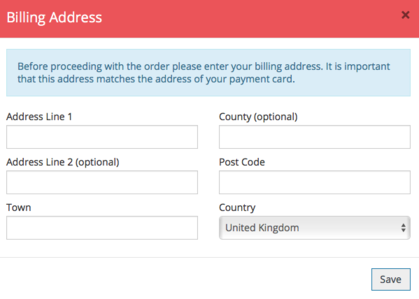 Enter your card details and click Confirm Card Details. By default you will be requested to pay by card, however, if you wish to pay by BACS please contact us on (+44) 0333 414 1808 or email us at billing@expensein.com and we can arrange this for you.